Looking for a vehicle that allows you to manage ordinary and extraordinary rail track maintenance? 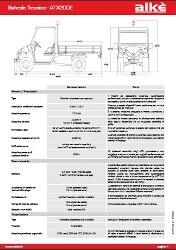 Which functions as a service vehicle for the locomotive in the event of a malfunction? Or even an electric vehicle with which to clean the station platforms or move luggage from one rail track to another? 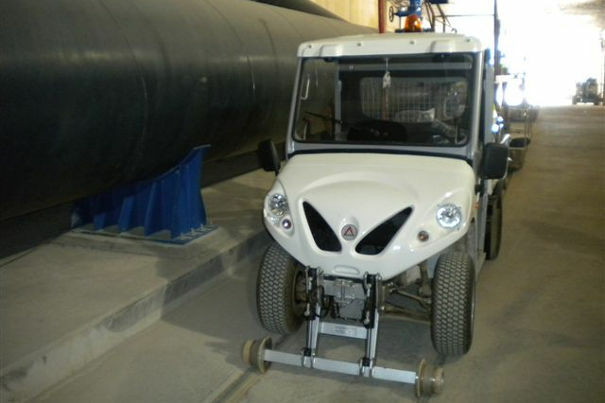 Alkè, a company specializing in the design, construction and sale of fully electric vehicles, has studied and developed over the years a number of specific vehicles for use in railway stations. 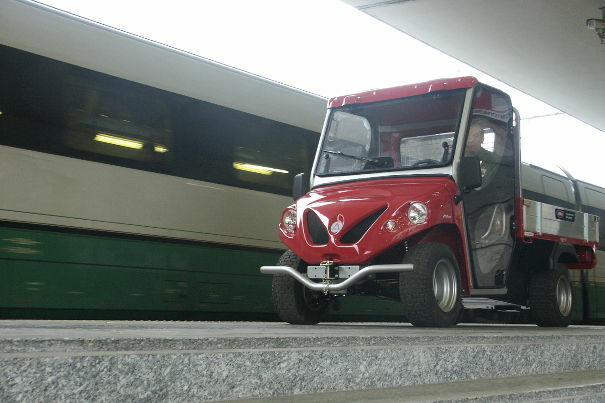 Alkè professional electric vehicles are widely used in carrying out the main ordinary railway maintenance operations both on the platforms as well as in logistic hubs connected via rail and in all ordinary or extraordinary rail track operations. Our electric vehicles are in fact widely used in all routine or emergency operations to be performed on the track. In fact, you can customize and equip your ATX with double wheels. One set of wheels for road circulation and another set of special railway wheels specifically adapted and customized for rail transfer. 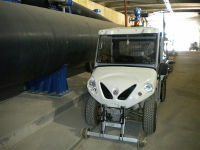 Alke electric vehicles are the ideal tool to carry or haul heavy loads even by rail. 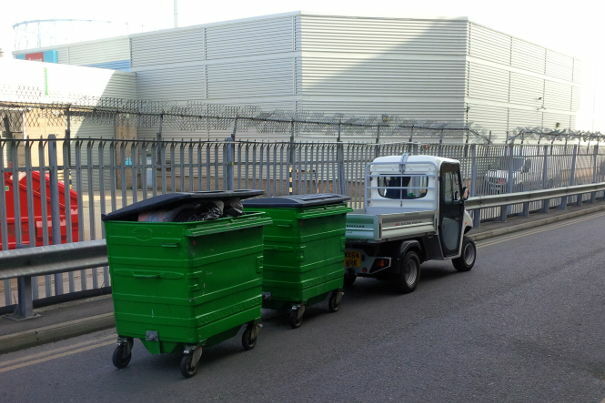 Our zero emission vehicles are used within the stations for operations such as maintenance, handling of goods and collection of waste. But also for transporting luggage and the distribution of goods in the shops of large stations. They are also widely used as a service vehicle for locomotives or specific areas for train maintenance. 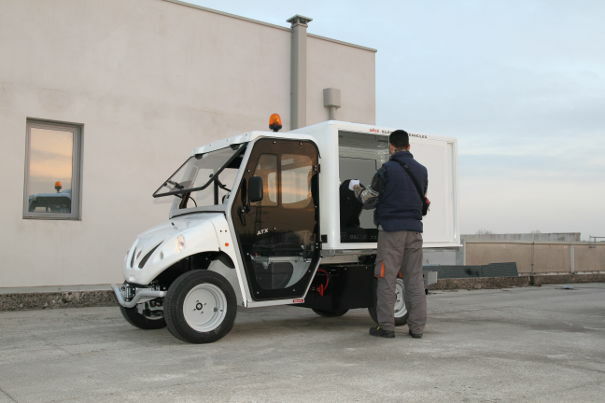 Thanks to their small size, Alke' electric vehicles are perfect for work on platforms, allowing the operator to move about easily, while performing duties, without any manoeuvring problems. Intensive research and development carried out by our team guarantees the best combination of efficiency and effectiveness. All Alkè electric vehicles can be customized according to the needs of the customer and equipped with different cab amenities. 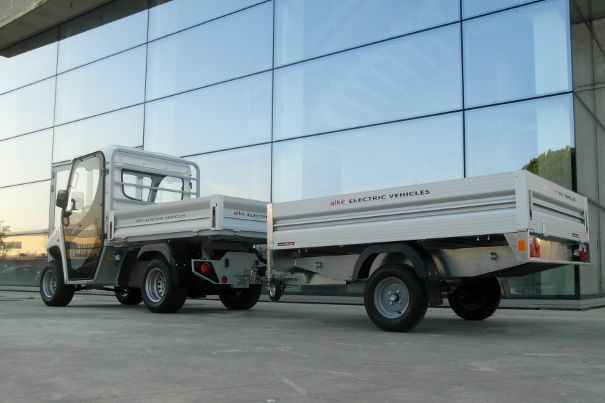 Our professional vehicles for railway achieve a chassis load capacity of 1500 kg and a negotiable slope of 20%. The mechanics of military origin, is extremely robust: they are designed for very high workloads. The chassis undergoes a cataphoresis and powder coating anti-corrosion treatment. This makes them particularly suitable for the main tasks within train stations. The electric AC motor ensures extremely high performance and at the same time, energy saving, helping to reduce consumption and consequently costs (€ 2.00 per charge). Thanks to the energy recovery system under braking, not only a reduction in costs is ensured but also high safety standards and perfect descent manoeuvrability. All Alke green vehicles have a high charge autonomy in ECO mode with the correct driving style and energy saver. The full charging time is about 8 hours, with on board battery charger and charging LEDs. 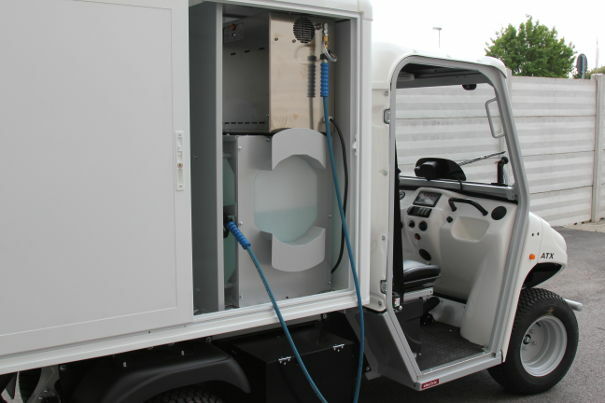 The vehicle can be recharged via a 230V 16A 50Hz power socket (IEC 60309 16A 2P + E). The high frequency charger allows for better charging, thereby extending the useful life of the batteries. Due to their technical and handling characteristics, Alke electric vehicles are the best solution on the market in terms of zero-emission railway station vehicles.